Greek: Lasiurus -"hairy tail." Latin: borealis-"northern." Fur: Red-orange (females with frosty appearance); hair - dark base, broad yellow band, narrow red subterminal band, white tip (more prominent in females). Tail Membrane: Completely furred dorsal surface. Wing membrane: Black; furred from body to elbow and along forearm. Ears: Short (14 mm); lower exterior furred, tip and interior nearly naked; rounded tip. Tragus: Clearly less than one-half ear length; rounded tip; curved forward. .
Total length: 93-115 mm. Forearm: 34-45 mm. Wingspan: 290-323 mm. Total weight: 6-14 g.
Dental formula: 32 total; I 1/3, C 1/1, P 2/2, M 3/3. Hoary bat (L. cinereus): Larger size (>15 g) and longer forearm (>45 mm); not reddish in color. Overall: Southern Canada, all U. S. (except Rocky Mountains) to Argentina and Chile. Iowa: Statewide summer resident (both sexes). A solitary rooster, the red bat can be found during summer daylight hours in dense clusters of leaves in wooded areas throughout Iowa; generally on the south side of trees next to fields or streams or in urban areas. Red bats emerge in the early evening to forage for a variety of insects, including crickets, flies, bugs, beetles, cicadas, moths and planthoppers. Although adults of both sexes occur in Iowa, females seem to outnumber males except in August and September when mating occurs. 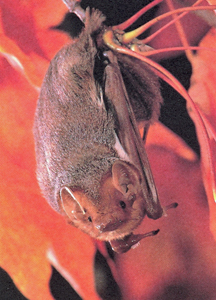 As with several other North American bats, however, actual fertilization may not occur until spring. In Iowa, from 1 to 4 young are born by late June or early July, but details of birthing and growth of the young are poorly documented. 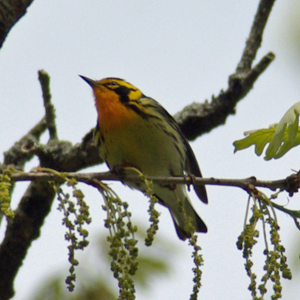 Spring migration probably begins in April, while fall movement through Iowa ends by October. 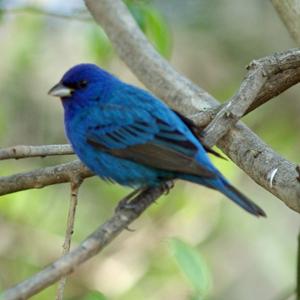 Since the species has been reported to forage during near freezing temperatures, it is able to survive low temperatures that may occur during migration. Although none have been found in Iowa in winter, red bats possess several anatomical adaptations that allow survival at low temperatures. These adaptations include the heavily furred tail membrane and short rounded ears with a minimal surface area for heat loss. Even though red bats rarely enter buildings, they rank third in numbers sent in for rabies analysis. Unfortunately, females burdened with nursing young often are jarred from tree foliage during summer thunderstorms and sent in for rabies analysis, rather than being left alone. Red bats are common throughout Iowa in the summer and do not appear to be in any danger of immediate population decline. However, because they are foliage roosting bats, it is important that ample forest habitat be maintained in the state.